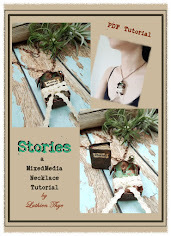 this week at The Altered Page, Seth has re-introduced an interesting and fun blog event called Buried Treasure. we are encouraged to dig up an old blog post and re-post it again on our blogs ... what a fun way to give an old post another chance in the light! so here is my Buried Treasure - my trip to Thailand and the amazing art that Thai people make!! temples ... were pretty amazing ... their beauty is awe-inspiring! wat po ("wat" meaning temple) - this is a temple that has both thai and chinese influences. 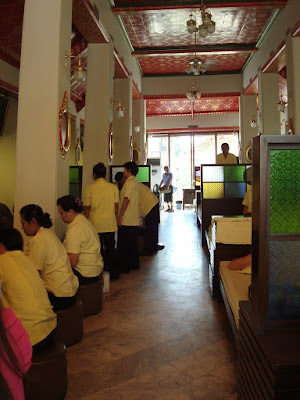 this is also where the local masseurs come to learn their craft, as the temple houses one of the oldest massage center and school. wat po is glorious under the sun! thai design and architecture is a work of art. chinese giant deity stands as guardian to the doors. just look at the intricate architecture! ok ... that's me trying to be creative with the camera :p ... taken from beneath a bonsai tree. 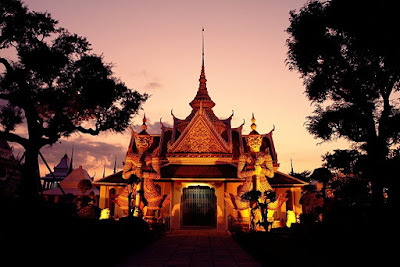 sunset temple - located just by the chao praya river, a lovely place for evening walks. sunset temple in night light ... simply magical! our host fed us really well!! local arts & crafts ... the thai people are amazingly creative! these i love :)) and they were inexpensive! monks and deities - i dunno what these figurines are made off, but they look amazingly real! Oh, Thailand must be so amazing! I have only ever seen this type of architecture and art in photos, imagine being there in person...fantastic! Just when I was oohing and aahing over the buildings, you went on to show the food and fabulous art. Those monks look absolutely real, and I LOVE those lanterns! A cool idea to show a past blog post, it's too bad when they get forgotten :) This was a great one to revisit. Oh wow, wow and double wow!!! 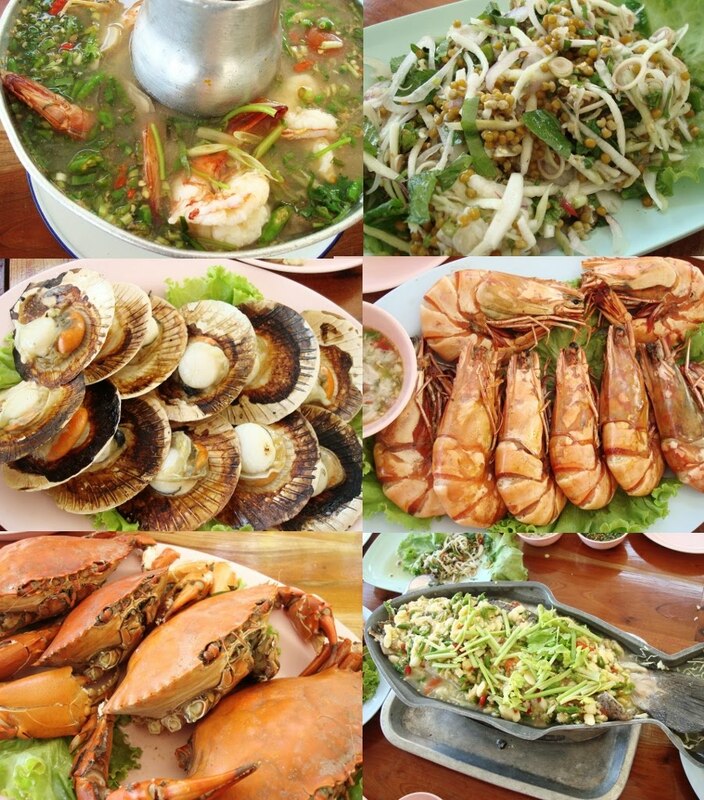 I would so love to visit Thailand and now you have made me very envious. One day maybe I will!! The temple buildings are so amazing, gorgeous, colours incredible!! Must be all that red and black and gold! What an amazing place! Love those temples. Thanks for re-sharing this, Luthien! Thanks for the mini-trip to Thailand. Loved the post. Fabulous photos to an enchanting trip! 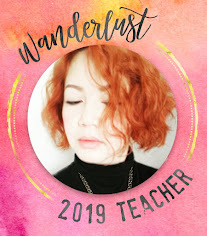 Thailand looks amazing and what wonderful colors, design, patterns and architecxture all in one posting! Many thanks! Thank you for the tour of Thailand! I was there over forty years ago, but didn't take very many photos, unlike yourself (or your OTHER half). Did you try the street chicken? I found most Thai food to be very spicy, but the chicken was to die for. WOW!!! All that colour and the patterns and the vibrancy... WOW!!! What a fabulous trip! Thanks for taking me on it! WHAT an amazing trip this looks. I love these scenes. I may never get there, and this is such inspiration. Thanks for reposting this one. I love your Hogwarts Quartet. Just amazing!